Today is the day we have been practicing for! The Christmas Concert will be performed today at 1:15 and 7. Hope to see you there! 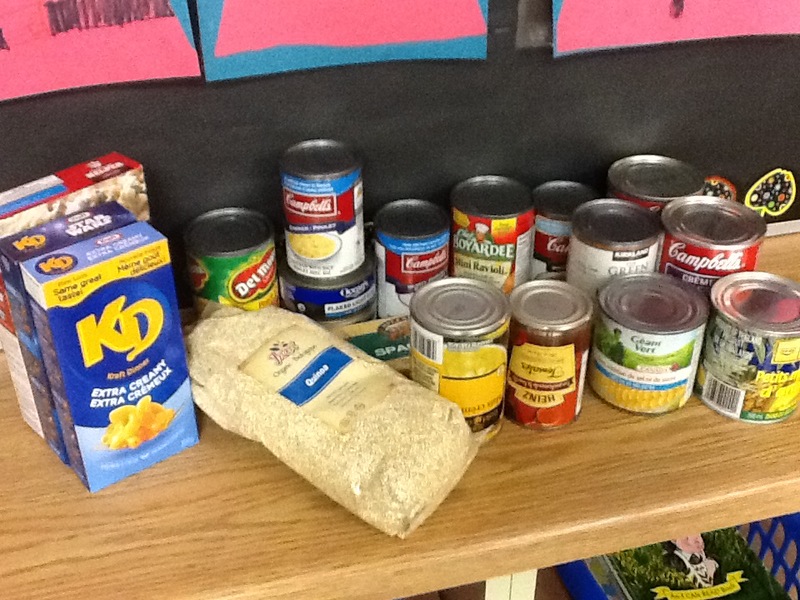 Thanks to all who sent in non-perishable food items for our 9th Kindness Act. This is what we collected and I will take it to the food bank next week.